Although actually building a place we can all live in is a crucial element in cohousing, I would always argue that it is just as important to build the group itself. What’s the point of taking with us to Cohousing Woodside the same distant relationships we may already experience with our present neighbours? We might as well stay put! It’s pretty vital too, before we put serious money down, to have the security of knowing that we are all singing more or less from the same hymn sheet and pursuing some of the same goals and values. Opportunities to share our thoughts and ideas about these often get blocked by the seemingly more urgent work that tends to dominate our meetings, re legal agreements, the design, the finance, etc. We made a start on addressing this imbalance recently with a workshop aimed at getting to know each other better in an informal way. Tracing key events in our lives decade by decade, turned out to be fun and raised a lot of laughs. Who would have thought we have so much overseas experience in our lives; that there is quite a lot of film-making expertise in the group; that one of our number lived to tell the tale of a near-lynching (aged six) by older school fellows in rural Canada? Herbal medicine, teaching dance, defending important law-cases, protesting at Greenham, getting arrested under the Official Secrets Act, running the Marathon – all these experiences and more are to be found in the past lives of Cohousing Woodside members – and we haven’t even got a full complement of households yet! Turning our attention to swapping ideas and opinions, we took a first stab, in small groups, at sorting out what we all think is meant by ‘mutual support and neighbourliness’ – the hallmark of cohousing. It was encouraging to find a broad level of agreement on this. You will find its first fruit in an addition to the Development Plan, where we have elaborated on our original statement of maintaining ‘responsibility for ourselves’ and ‘neighbourliness’. Here we expect of ourselves and future members ‘a willingness to help out one’s neighbour with those small services that arise in daily living as well as with unexpected incidents or crises from time to time’. Friendly give-and-take should combine, we reckon, with ‘care not to intrude on privacy and personal space’. We should make our own care arrangements and the group’s commitment to mutual support and informal sharing ‘should not be translated into a right’. The Membership & Policy task group will build on this to bring a formulated policy to the whole group for agreement. 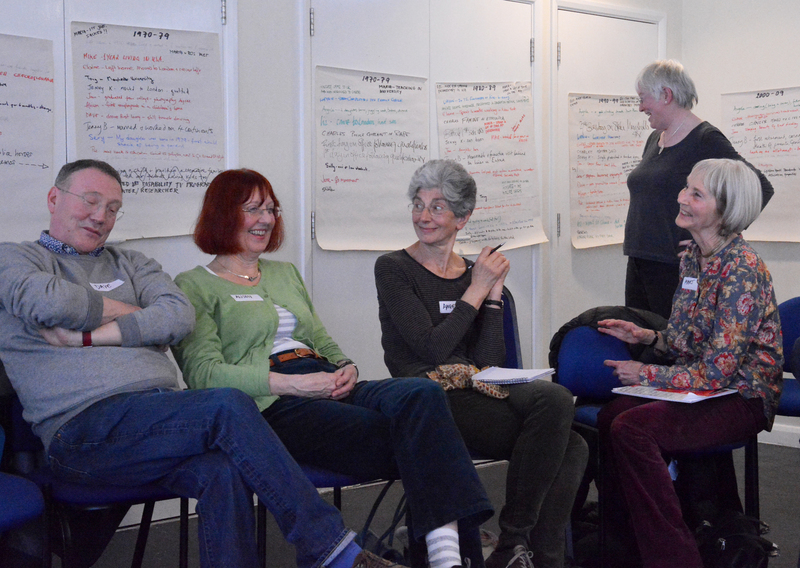 In August, we hope to take group-building further through a two-day workshop with a trained facilitator who has already worked with the Lilac cohousing group in Leeds to help them shape their common assumptions and sense of shared direction. Watch the blog-space for a report on this in due course.